I loved the clever use of 2 colors on the sleeves in Road to Golden when the Fall 07 Knitscene came out, but the colors are really not me. These colors though. These are me! They’re Rowan Felted Tweed in a variety of colors — too many right now. I couldn’t pare it down to just 6 so I brought home a few extra for swatching. 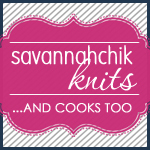 There’s a possibility this is my Rhinebeck sweater. We’ll see how it goes after a few weeks. Yeah, this is the book that goes for almost $300 on Amazon. Same book, but I only paid $14.95! My favorite part? The book’s description listed OOP so they knew the book was worth more and they still sold it for list price. That’s one of the reasons I try to frequent local stores. They treat you right. I love the colors that Felted Tweed comes in, and I love the ones you’ve photographed. What a deal on the book! (Of course, if you were a horrible person, you could sell it on eBay for $300+ …. but somehow I don’t think you’re going to do that). What a great deal! Is it really a paperback? I can’t believe it sells for 300 bucks! $300?!? You’re serious? The book aka Fancy Feet, that I have in hardcover, purchased used? Dude. Wow! What a bargain! Gotta love you LYS! And those colors? Totally love them! Very nice combo you’ve chosen. Loving your colors. Felted Tweed…how I covet you. Someday Rosie’s will be one of my LYSs, too. Too bad it isn’t now!! What a fabulous deal. Gotta love that Rowan Felted Tweed. All of the colors it comes in are winners in my book. I wouldn’t know which one(s) to choose! I love that felted tweed! can’t wait to see which colors you decide on — that orange shade does me in every time I see it in person (and it would look great with that pink, ahem). And I had the same exact thing happen at my LYS with Fancy Feet! $15! And they knew it was OOP, of course. Beautiful colours, and congratulations on the book find! You definitely have better colors there by far. Nice find on the book too! Nothing like a little local love. 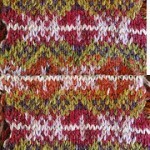 Can’t wait to see those colors in the fair isle pattern. Should be gorgeous. OMG, such luck! 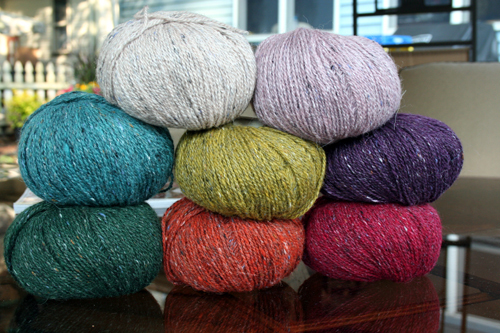 Road to Golden has much potential as a Rhinebeck sweater — and all that Felted Tweed? Bliss. Wow, I am out of it. Why is it being sold for so much? I have been hunting for that book forever!!!!!!! 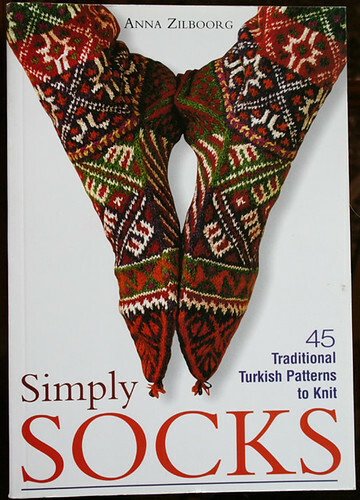 I have the second edition (Fancy Feet) but would love this one to add to my collection…so jealous! I had no idea about that book! I’ve checked it out from the library before! Can’t wait to see what you end up deciding on for Road to Golden. Love the tweed yarns! Beautiful colors. I just love Felted Tweed right now! My LYS shop didn’t have all those fab colours which is just as well! 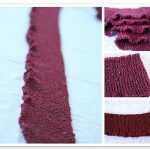 I’m knitting a cardigan with the darker purple!